We have steadily increased the volume of new build projects over the last few years and we are pleased to be awarded with NHBC title. Only builders and developers who can demonstrate financial security and technical competence are registered with NHBC. All registered builders agree to comply with NHBC Rules and build homes to NHBC Standards of construction. 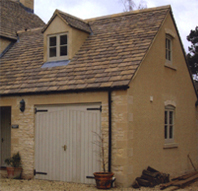 This enables us to offer a full 10 year warranty on all new builds. Most of these projects we have undertaken made use of a spare plot of land on the clients existing property, with the specifications tailored to suit their exact requirements whether it be for them to use as their dream home or to sell on as an investment. Please click below to view some of our New Build Projects.